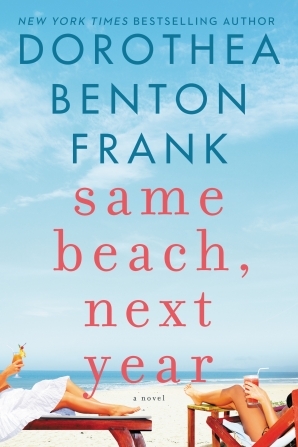 It's time for another installment of titles for your beach reading pleasure. 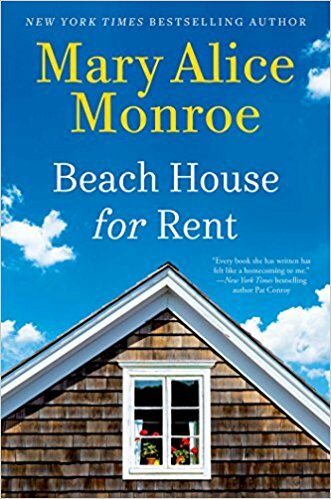 Whether you like to lounge by the pool at the condo or feel the breeze from the Gulf of Mexico on your face, you simply must have a good novel to read while you relax in the sun. As people frolic and play in the water, while others point out the sharks close to shore, you can rest easy in the knowledge that you are far enough from the water to be out of harm's way. Editorial note: Apparently the sharks are feeding close to shore down in Orange Beach. 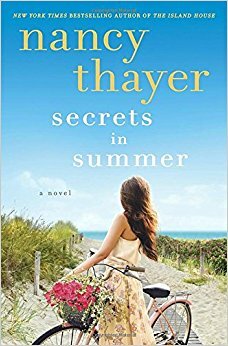 In any case, check out one of these fun beach reads and enjoy the coast. Descriptions are from the publisher. 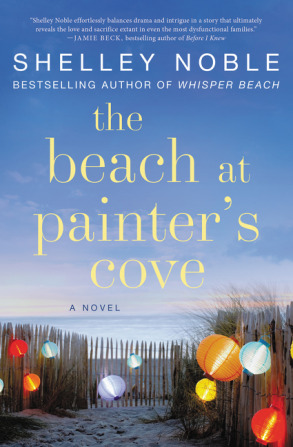 When Cara Rutledge rents out her quaint beach house on Isle of Palms to Heather Fordham for the entire summer, it's a win-win by any standard: Cara's generating income necessary to keep husband Brett's ecotourism boat business afloat, and anxiety-prone Heather, an young artist who's been given a commission to paint birds on postage stamps, has a quiet space in which to work and tend to her pet canaries uninterrupted. The Whitaker family's Connecticut mansion, Muses by the Sea, has always been a haven for artists, a hotbed of creativity, extravagances, and the occasional scandal. Art patrons for generations, the Whitakers supported strangers but drained the life out of each other. Now, after being estranged for years, four generations of Whitaker women find themselves once again at The Muses. Leo, the family matriarch, lives in the mansion. Her daugher Jillian is a jet-setting actress. Issy, Jillian's daughter, has a successful life as a museum exhibit designer, and her 12-year old niece, Steph, has been left with Leo by Issy's sister. Hey young people, ever dreamed of becoming a filmmaker? 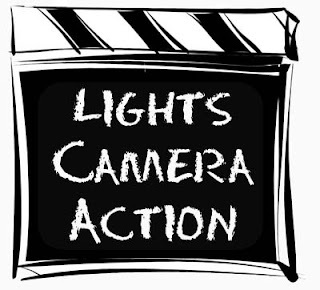 Then make plans to be at the West End Branch Library on Saturday, April 29, at 3:30 p.m., for week two of its free filmmaking workshops for teens. The workshop, Do You Want to Make a Movie? 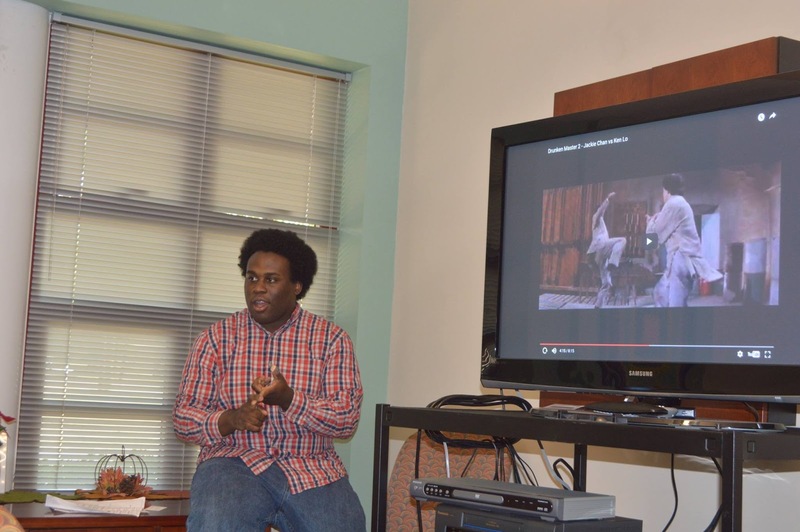 Filmmaking for Teens, kicked off last Saturday, April 22, 2017. The teacher is Birmingham filmmaker Denzale Butler. There is only room for 10 students, so register in advance online or by calling the West End Library at 205-226-4089. Week Two (April 29) is "ABC’s of Film (Shot Sizes)"
Week Three (May 6) is "ABC’s of Film (Camera Movement)"
Week Four (May 13) is "ABC’s of Film (Composition)"
The teacher will bring a camera to class. However, students are asked to bring their camera phones since they will use them to create shots that create various moods. 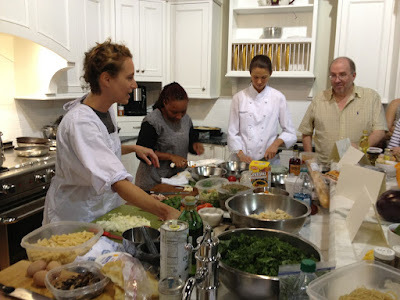 Teens will acquire a new skill and additional knowledge about an exciting topic. The class will fulfill the components of lifelong learning, cultural enrichment, and enjoyment by introducing teens to filmmaking, according to the West End Library. When: Wednesday, May 17, 3:00-10:00 p.m.
Every Wednesday Cahaba Brewing Company partners with a non-profit organization at the taproom to enjoy some great beer while also benefiting a good cause. On May 17 the Public Libraries in Jefferson County will be on the receiving end of this goodwill. So stop by Cahaba Brewing Company on this particular Wednesday to enjoy some beer, food, and games and help them support our Jefferson County public libraries. Cahaba Brewing Company was founded in the summer of 2011 by a group of friends united by their love of craft beer and home brewing. Together, they devised a plan to build a brewery in beautiful Birmingham, Alabama. The group found an excellent location for the brewery in the Pepper Place/Lakeview district of Birmingham on 3rd Avenue South. The 8000 square foot building houses the brewery and tasting room and the building was selected for it's location, layout, and opportunity for expansion. Have you ever noticed a photograph of General Napoleon, General De Gaulle or any French soldier? They have one hand inside the lapel of the jacket and the other hand behind the back. They were fighting cooties . . . we scratched our way from Brest, France to Trelaze, a suburb of Orleans where the fifty-second ammunition train was being formed to take ammunition to the Argentan’s front. But that is when I learned there was a universal language. When a pretty girl pokes her lips out, closes her eyes and turns her head sorter sideways, then begins to breathe like she is developing asthma, that means “Kiss Me.” I don’t care what country you are in or what language she speaks. After such times as these, Kirby and many of his fellow soldiers hailed news of the Armistice with great relief and joy (and a chocolate pie eating contest). 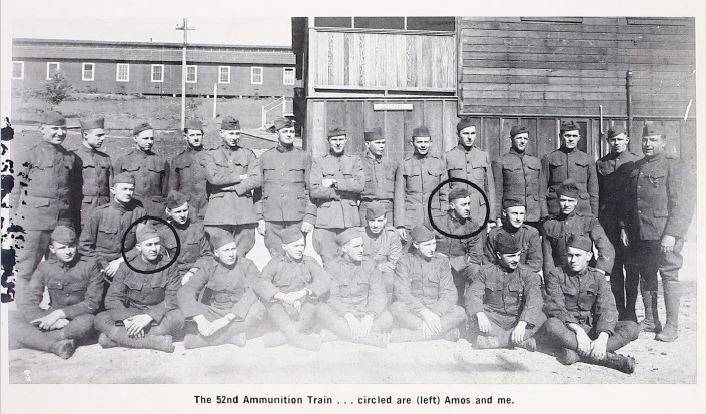 After he returned home, he was frequently asked to give talks on his wartime experiences and these talks—dating from the first one on February 11, 1919—were the basis for what eventually became this book. To someone like me, World War I seems very far away, and I can count on one hand the number of times I have encountered a veteran of this war, but this story told by a fellow Alabamian helped put a face on that conflict for me and made me wish I could have spent some time talking with this particular veteran. volunteering at the bookstore while attending Minor High School. This week has been National Volunteer Week. The Birmingham Public Library (BPL) and its Friends Foundation annually celebrate the approximately 100 volunteers who serve throughout our library system by sponsoring a Volunteer Appreciation Luncheon, held this year at the Central Library. 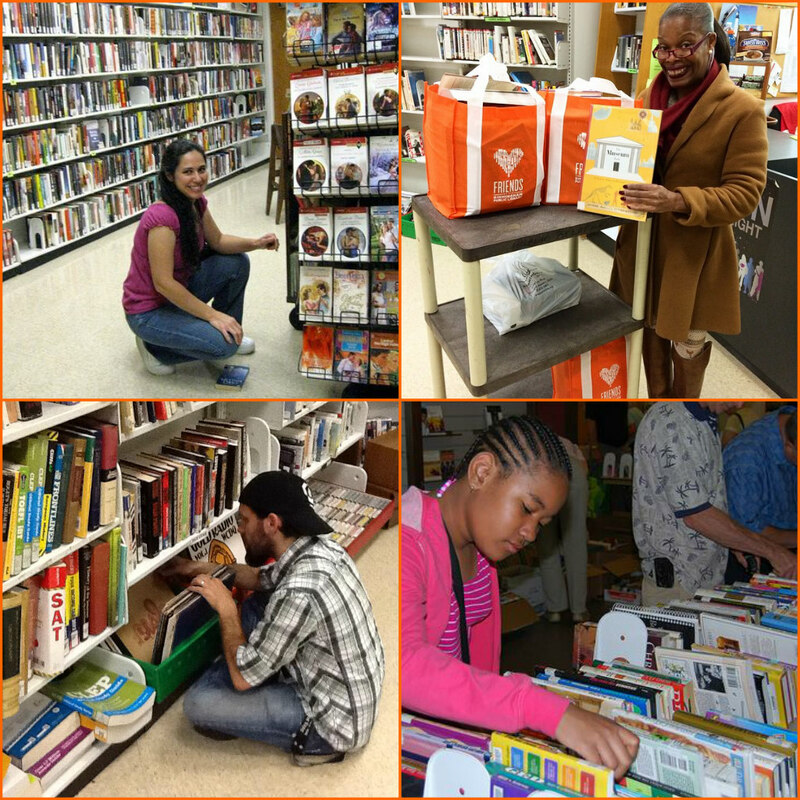 Today we're spotlighting our largest group of volunteers, a team of about 25 people who operate the Friends Bookstore at the Central Library under the leadership of Thracie Pace and the Friends Council of BPL's Friends Foundation. The bookstore sells or donates books, movies, and music which have been removed from the library's permanent collection, usually because there are too many copies or they have stopped circulating. The bookstore also receives donations of used books from individuals and groups who are reducing their collections. 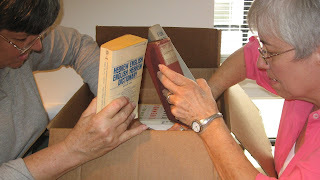 Volunteers receive the donations and go through them to ensure that the books or other materials are in an acceptable condition to sell or donate to other organizations. They price the materials, then put them out for sale on bookstore shelves. The bookstore volunteers man the counter to ring up sales, not only of books, videos, DVDs, and CDs, but also snack foods and drinks, Friends T-shirts, and materials such as library book bags, pens, pads, thumb drives, headphones, and other things patrons might need during a visit to the library. The bookstore is open six days a week from 9:30 a.m. to 5:30 p.m. and its two shifts a day are manned by volunteers. 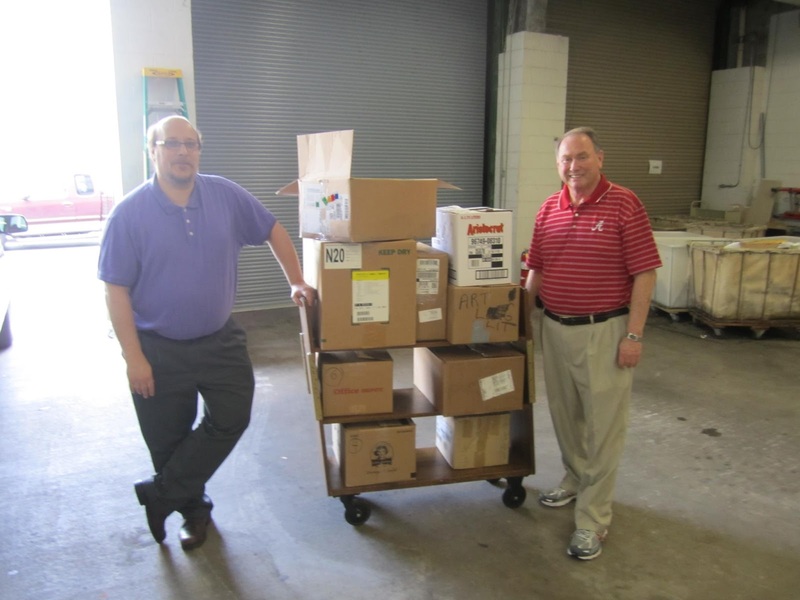 On a monthly basis the Friends Bookstore donates as many as three boxes of books to our senior communities, including Episcopal Place, Greenbrier, and St. Martin's. Many of these lovely seniors have no way to get new reading materials other than by these donations. The Friends Bookstore also delivers books to underfunded schools such as Lipscomb Elementary, which in turn shares these books with other needy schools. The Friends Bookstore actually helps these schools build their own school libraries. Both students and teachers appreciate the donated books, which help in their educational and social development. Bookstore volunteers pick up book donations from the handicapped and elderly as well as donation pickups from churches and businesses. If someone needs help getting a donation to the bookstore, we make sure it happens. Our volunteer program at the bookstore is its own community as well. We have volunteers from ages eight to eighty, and each will tell you how much they enjoy and appreciate their time in the Friends Bookstore. I have worked with high school seniors who've gone on to college but return on breaks to put in an hour or two in the bookstore! Our older volunteers appreciate that shifts are only 4 hours long and available weekly or monthly. This is but a bit of what the Friends Bookstore accomplishes on a regular basis. If you are interested in supporting the Friends Foundation or volunteering at the bookstore, visit us on the first floor of the Central Library and let us know. Contact Thracie Pace at 205-⁠587-⁠2221 or friendsbookstore@bham.lib.al.us for information about the bookstore or about how to become a volunteer. It’s never too late to start building a better understanding of your personal finances and begin developing a plan for the future. To assist you in this endeavor, the Birmingham Public Library (BPL) is partnering with the staff of the Regions Institute for Financial Education at UAB to offer a series of Money Matters workshops at the Central Library on the first Wednesday of each month from July 2016 to May 2017. Please join us at the final workshop in the series to take part in discussions about a variety of money management issues and learn ways to help you achieve your economic goals. Details: Tickets for the stitched art are $1 apiece or 6 tickets for $5. 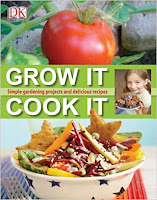 You can buy them at the library through the morning of May 1 or from any CCC member. You do not have to be present to win. 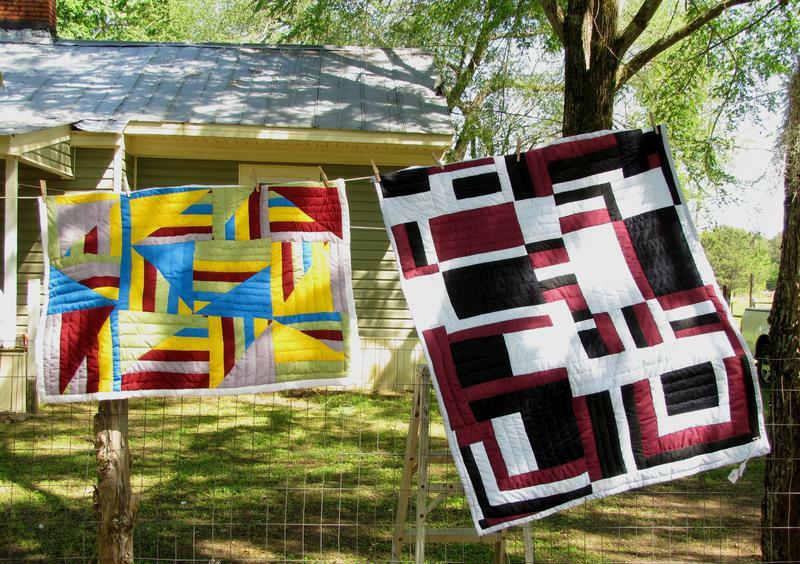 Time is running out to buy tickets for a stitched art drawing taking place at the Springville Road Library on May 1 during its popular Coffee, Conversation and Crafts (CCC) adult program. 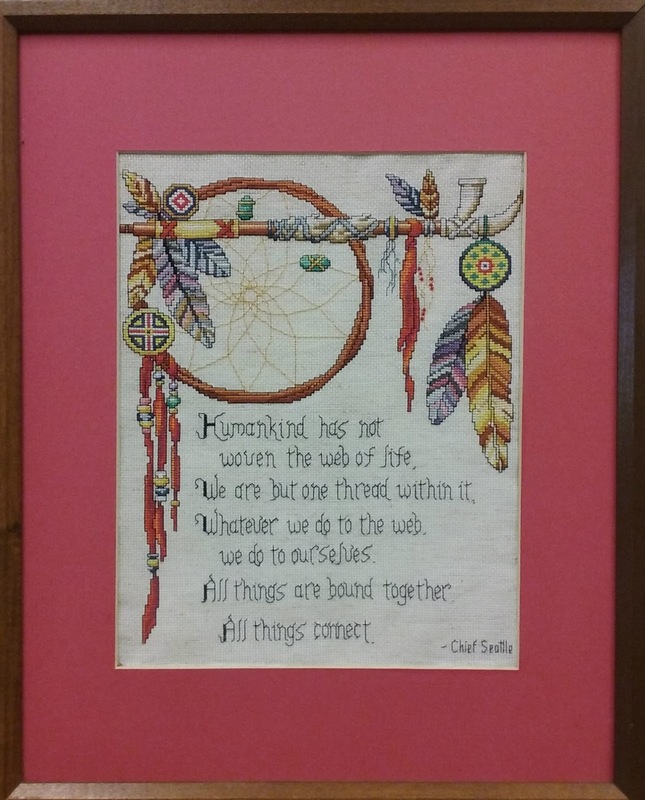 The hand-stitched, framed art was created by a Birmingham area artist and donated to the Springville Road Library to raise money for its adult programs. 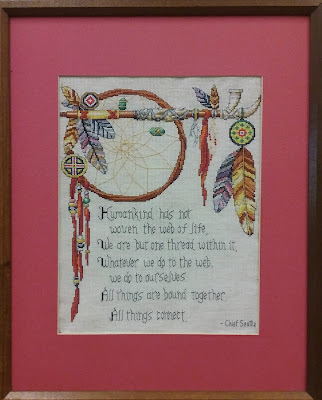 The stitched art was on display during the 2017 craft fair held April 2 at the Springville Road Library. For more information, contact Kelly Laney at 205-226-4083 or kslaney@bham.lib.al.us. Go to the BPL events calendar to view upcoming library programs. It's that time of year. From pollen covering cars in a nice layer of yellow dust to rainy days full of the potential of severe storms, spring has finally made its arrival in Alabama. 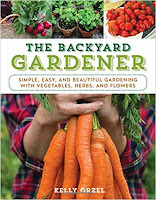 And what better time to start your summer garden than now? 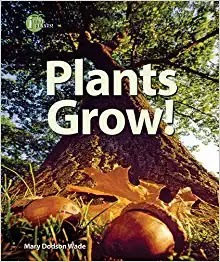 Our collection widely varies with picture books, youth nonfiction, and adult nonfiction. 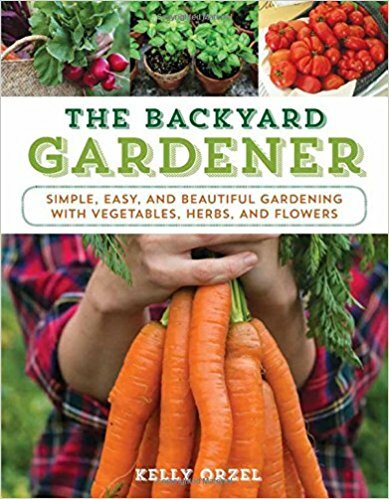 With easy-to-follow gardening instructions and advice, even a novice gardener can easily create a beautiful space in their home or outdoors. Soak up some Vitamin D, get out in the yard, and start planning your next (or new!) gardening adventure. Check out our list of books recommended by staff to help you along. What gardeners want most is a bigger and better return on their investment of time and money―maximum yields and superior flavor for edibles, long-lasting blooms for flowers. 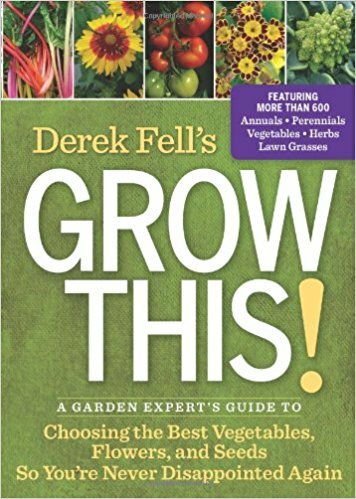 Derek Fell's Grow This! features expert advice for choosing and growing the top-performing plants (and avoiding the ones that disappoint). 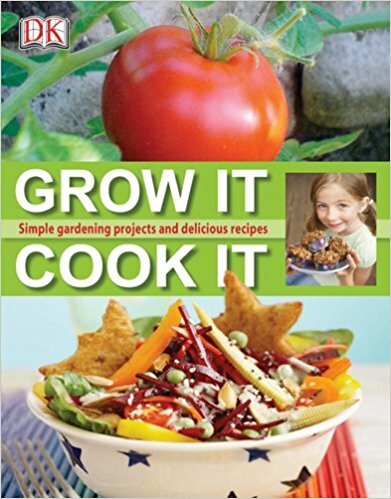 More than a cookbook, this innovative book offers a fresh approach to healthy eating by getting children involved in food right from the start. Children will learn that when they eat a carrot, they're biting into a root; salads are made up of leaves; and berries are the fruit and seeds of plants, encouraging an early appreciation of food and its origins. 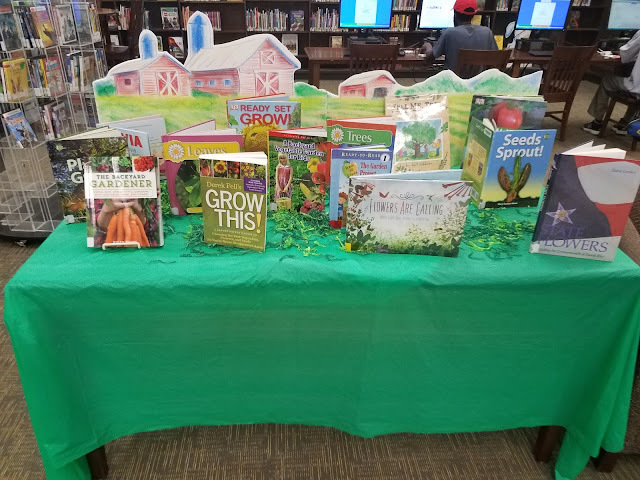 So swing by the East Lake Branch to nab one of these helpful books on starting your own garden, or helping your children create their dream garden! Sweet Home: Alabama's History in Maps is on display in the downtown library's Fourth Floor Gallery for one more week. The exhibit has been garnering rave reviews and is a must see for anyone interested in the history of Alabama or the Southeast. Dr. Melinda Kashuba, visiting scholar from California, said it rivals exhibits she has seen in "Chicago and Washington, D.C." The library's Southern History Department worked for almost two years putting the exhibit together and is thrilled with the community response. The exhibit is partially funded by a grant from the Alabama Humanities Foundation and consists of high quality reproductions of 54 maps carefully selected from the library's collection of over 2,000. 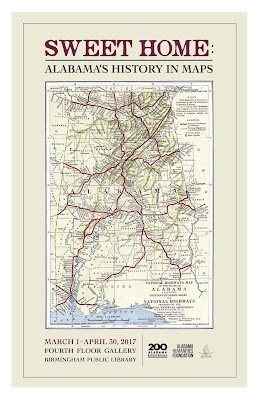 Beginning in 1545 and continuing through the 1990's, the maps tell the story of Alabama from the Age of Discovery through the territorial period to the modern day. 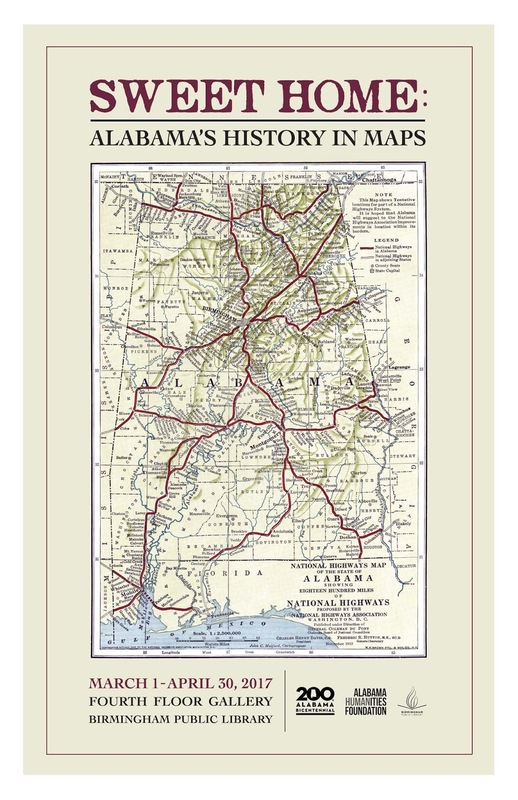 There is also a special section for maps that depict Alabama's abundant natural resources which have played such an instrumental role in the history of Birmingham and the surrounding counties. If you can't make it downtown before April 30, 2017, and would still like to see Sweet Home: Alabama's History in Maps you have a several options. The entire exhibit (images and descriptions) is available online. Since the exhibit is part of the statewide celebration of Alabama's bicentennial, it's going to be traveling to libraries and museums of all sizes over the next two years. Its first stop will be Old Alabama Town where it is scheduled to open on May 15, 2017. 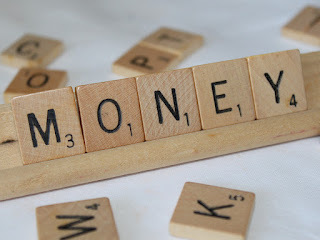 According to the Government Accounting Office (GAO), financial literacy is the ability to make informed judgments and to take effective actions regarding the current and future use and management of money. During Money Smart Week, April 22-29, financial institutions, libraries, and other community entities across the county will provide several programs and activities to help communities obtain financial literacy. The Inglenook Branch Library will be amongst those offering pertinent programming. See program listing below. Shedrick South, personal banker at Wells Fargo, will discuss the importance of a having a bank account and how to use them effectively to save money. Join Inglenook Library’s own Michael Fagin as he discusses security measures to take to keep online content safe. On April 28, 3:30-4:30 p.m.
and simple strategies for creating multiple streams of income. For more information, please contact Inglenook Library at 205-849-8739. Karen Haiflich, an independent health benefits advisor, will provide simple, straightforward answers to help participants better understand Medicare and the options available to beneficiaries. Participants will learn the basics of estate planning including how to examine their financial needs and assets, organize important papers, and more. The presenter is Nkenge Hyter of the Alabama Cooperative Extension System. Briana Collins, public affairs specialist for the Social Security Administration in Alabama, will provide informed answers to common questions about Social Security and will discuss various aspects of the agency’s different benefit programs. When considering your personal financial goals, the Birmingham Public Library is a good place to go for free and authoritative resources on budgeting, savings, investing, and much more. So, make plans to stop by and check out some of the amazing resources and services we have to offer! For more information, please contact the Central Library’s Business, Science and Technology Department at 205-226-3690. Spring has arrived, and people have started to plant flowers and gardens. One hundred years ago this month, the citizens of Birmingham were planting gardens for a very different reason as the world was engulfed in World War I. There were severe food shortages in Europe as farmers left to serve in the military, and fertile ground had been turned into battlefields. 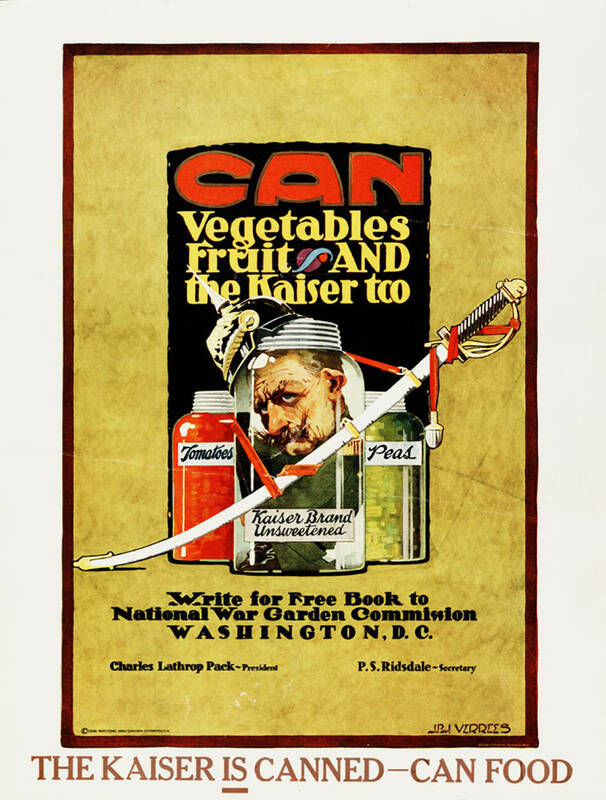 To solve this problem, Charles Lathop Pack organized the National War Garden Commission for the purpose of encouraging Americans to plant and harvest their own fruits and vegetables. Any idle land including school and company grounds, parks, backyards, or vacant lots could be converted for agricultural production, which would generate surplus food that in turn could then be exported to Europe. 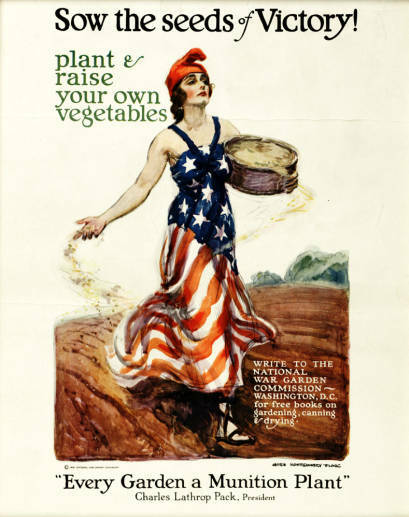 The National War Garden Commission formed in March 1917, and the United States entered the war in April 1917. 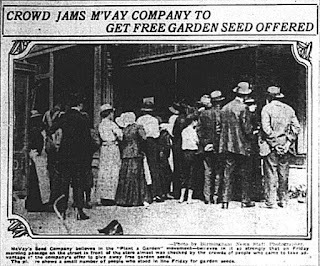 Birmingham citizens rushed to do their part by planting "victory gardens," and the Birmingham News led the effort with its Plant a Garden campaign as people signed a pledge to have their garden planted by May 15, 1917. There were long lines at McVay’s Seed Company when the company advertised free garden seed as a promotion to support the war effort and also to get people inside the store. The Birmingham News, Jemison Real Estate and Insurance Company, and the Birmingham Ice and Cold Storage Company sponsored the 36 cash prizes totaling $600. The judges would visit the gardens by neighborhoods in mid-June to determine the winners. Depending on where you lived in the city determined which sponsor awarded the prize money. As you can see in this newspaper ad, this garden contest was segregated as there were both white and black winners. War gardens remained popular throughout World War I, and their popularity dwindled in the years following the war. 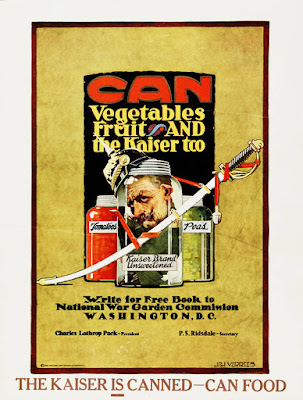 To learn more about the victory garden movement in World War I, read the history of the National War Garden Commission that was written by its founder, Charles Lathop Pack, at the end of World War I. 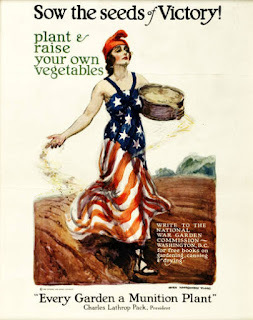 With the outbreak of World War II, the popularity of victory gardens surged again with new propaganda posters encouraging people to once again plant gardens. Registration is now open for staff and the public for the May 2017 classes . During this month, we include classes on a variety of topics including computer skills and career guidance. All classes are held in the Regional Library Computer Center (RLCC) of the Central (downtown) Library. PRE-REGISTRATION IS REQUIRED FOR ALL CLASSES. To register for any class, please email us at cenrtc@bham.lib.al.us or call 205-226-3681. 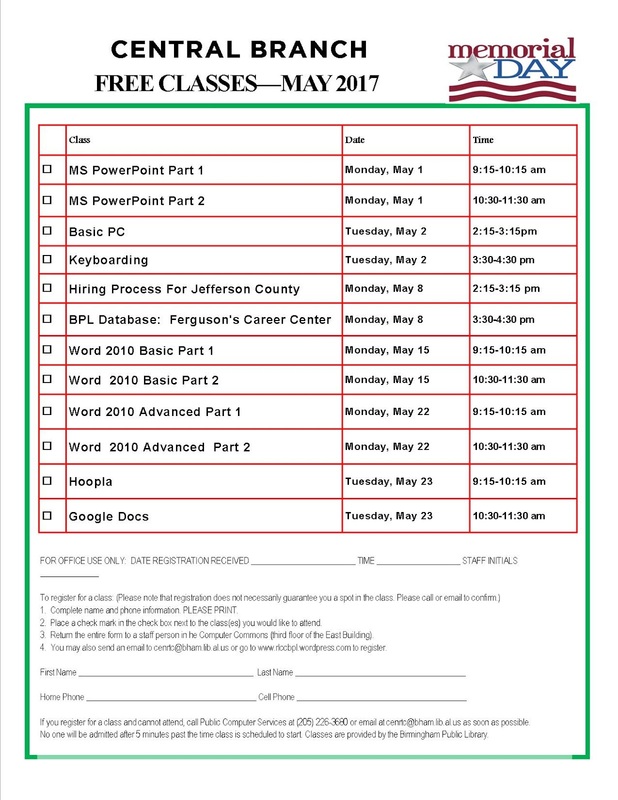 You may also download and print a pdf copy of the May 2017 class schedule to bring to a Computer Commons staff member on your next library visit. Please note that the May 2017 class schedule (pdf file) can be sent to us as an email attachment. Hey young people, ever dreamed of becoming a filmmaker? Then make plans to be at the West End Branch Library the next four Saturdays for free filmmaking workshops for teens. The workshop, Do You Want to Make a Movie? Film Making for Teens, will kick off at 3:30 p.m. to 4:45 p.m. on Saturday, April 22, 2017. The teacher is Birmingham filmmaker Denzale Butler. There is only room for 10 students, so register in advance by calling the West End Library at 205-226-4089. Week One (April 22) is "Introduction to Cinema"
The teacher will bring a camera to class. However, students are asked to bring their camera phones since they will use them to create shots that create various moods. 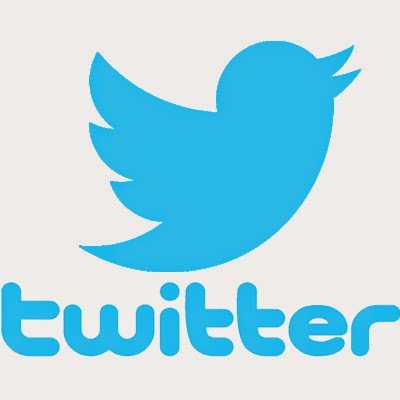 Teens will acquire a new skill and additional knowledge about an exciting topic. The class will fulfill the components of lifelong learning, cultural enrichment, and enjoyment by introducing teens to film making, according to the West End Library. 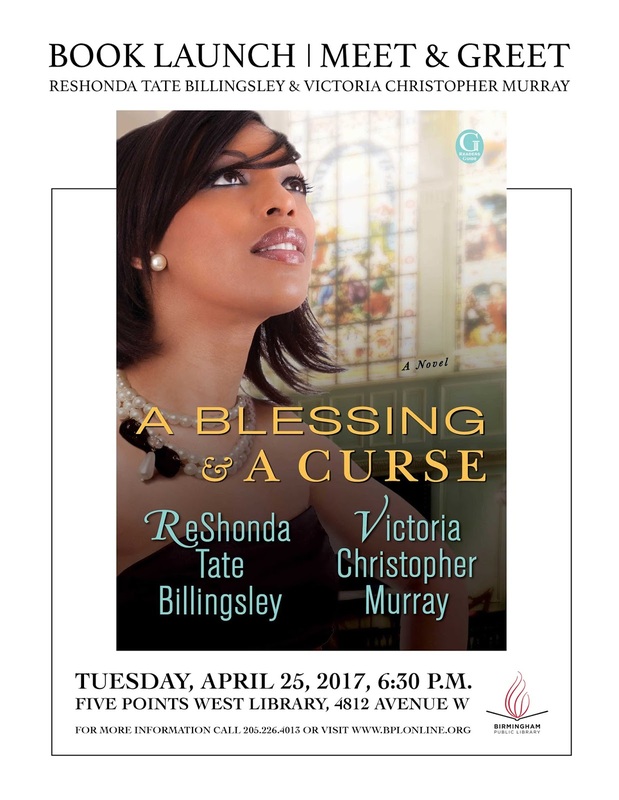 When: Tuesday, April 25, 6:30 p.m.
Five Points West Regional Branch Library will be hosting a book launch/meet & greet for popular authors ReShonda Tate Billingsley and Victoria Christopher Murray. The event will take place on April 25, 2017. The title comes from the new collaborative novel by Billingsley and Murray. The book A Blessing & a Curse is about first ladies of the Baptist church and sworn “frenemies” Rachel Jackson Adams and Jasmine Cox Larson Bush, who are stunned to learn they may have more in common than they thought—like who’s their daddy. A Blessing & A Curse has it all: a heated American Baptist Coalition election, a murky murder cover-up, an outrageous reality TV show, and other drama. 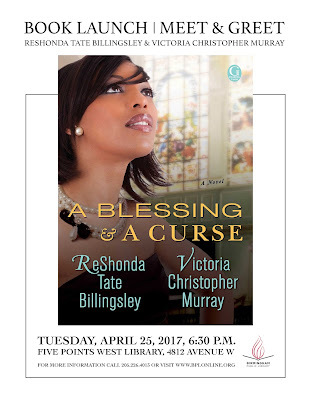 Read more about the book by publisher Simon & Schuster at the link below: http://www.simonandschuster.com/books/A-Blessing-a-Curse/ReShonda-Tate-Billingsley/9781476748887. For more information, call Five Points West Library at 205-226-4013. Birmingham Public Library's Titusville and Wylam locations have new branch managers. Amanda Jenkins heads the Titusville Branch Library after spending time at the public library in Alabaster. She previously worked part time at several BPL locations, including Springville Road. 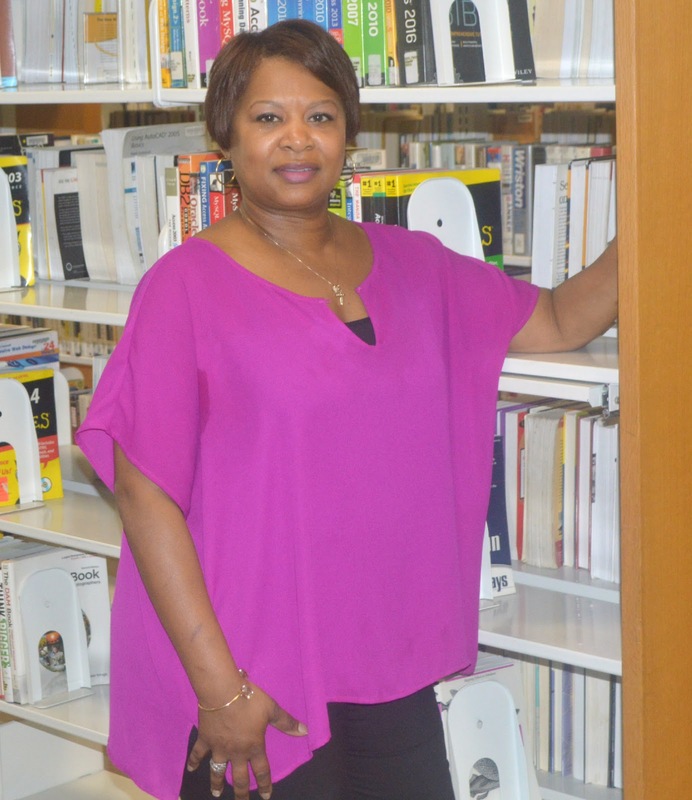 Selina Johnson now heads the Wylam Branch Library after spending 18 years as a librarian in the Birmingham Public School system. 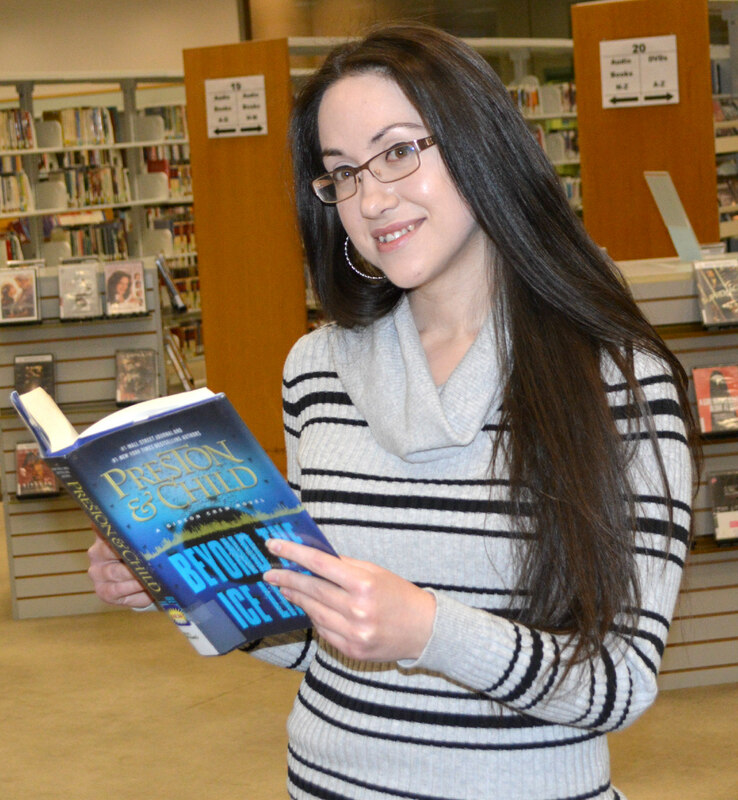 Amanda T. Jenkins began overseeing the Titusville Library in late January. Before joining the Birmingham Public Library (BPL), Jenkins served as the circulation department head at Albert L. Scott Library in Alabaster. A Birmingham native, Jenkins has a bachelor’s in science degree from the University of Alabama at Birmingham and a master of library and information studies from the University of Alabama. Jenkins has been busy meeting patrons and neighborhood leaders over the past two-and-half months, and is excited to be a part of the Titusville community. “I've worked part-time for the Birmingham Public Library system in the past, and I loved it. I'm thrilled to begin working in Birmingham again, as promoting literacy and public service are my greatest passions,’ Jenkins said. 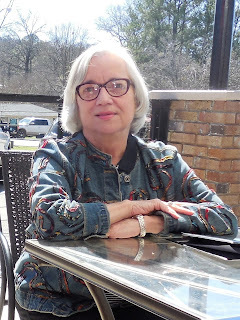 Jenkins worked part-time jobs at the Springville Road and Eastwood Libraries, and the Vestavia Hills Library in the Forest while earning her master's degree. Upon earning her MLIS, she was employed at Virginia College before joining the Albert L. Scott Library in Alabaster. How to reach her: Visit or call Jenkins at the Titusville Library, 205-322-1140, or email her at atjenkins@bham.lib.al.us. Selina Johnson began overseeing the Wylam Branch Library on April 3, 2017. Prior to joining the Birmingham Public Library, Johnson served as a school librarian in the Birmingham Public School System for 18 years. A Birmingham native, Johnson received her bachelor’s degree and master’s degree in elementary education from the University of Alabama at Birmingham. She received her master’s degree in library and information science from the University of Alabama in Tuscaloosa in 2001. Upon graduation from the University of Alabama in Tuscaloosa, Johnson worked as school librarian in the Birmingham City School System at Glenn Middle School, Martha Gaskins Middle School, and Carver High School. “I am thrilled to be a part of the Birmingham Public Library family. Everyone has been so welcoming and supportive. My hope is to be an integral part of building upon the services and programs that are offered at Wylam Library and to support the Wylam community. This community has such a big heart.” Johnson said. How to reach her: Visit or call Johnson at the Wylam Library, 205-785-0349, or email her at sjjohnson@bham.lib.al.us. For decades the title of the second volume of In Search of Lost Time was translated as Within a Budding Grove, because the actual title was deemed too suggestive for English speaking ears. The narrator, not named, is describing his early adolescence and his intoxication as he is immersed in the company of girls entering adolescence themselves. 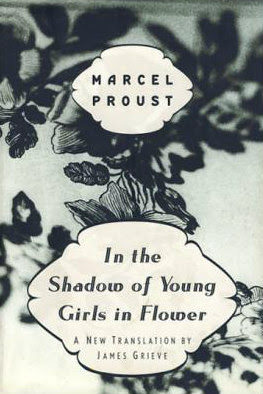 Most readers, like the narrator, will be years past the age when flirtation was new to us and youths were our peers, but Proust, the author and presumably the narrator, powerfully evokes those emotions for us as he shares passages from his youth. As the first volume, Swann’s Way, closed, the narrator, a nervous, sickly boy, is drawn out of his cloistered world every afternoon to the promenade of elegant Parisian courtesans in the Bois de Boulogne, in particular Mrs. Swann, mother of Gilberte, the beautiful girl with whom he is infatuated. Like the first volume, In the Shadow of Young Girls in Flower has little plot. The young narrator courts Gilberte at her parents' home in Paris. He spends the summer at a seaside resort in Normandy and gains the company of a group of young girls to whom he is attracted. He makes a close friend. But, as we all know, negotiating love for the first time involves volumes of calculation and strong emotion. Proust’s unsparing observation of his own feelings and behavior, and the people and places he encounters, makes his constricted plot and settings seem infinite. Fin de Siecle Paris was before the day when one would self-identify as gay, but we know, most knew, Proust’s primary loves were men. As we read In the Shadow of Young Girls in Flower, the reader may remain open to an interpretation that Proust is describing the narrator’s feelings for other boys, not girls. After all, he gives them names which are nearly boys names—Gilberte, Albertine, Andree—and the theme of homosexuality has already been introduced in both volumes. In the end, as Proust probably intended, it matters little. The novel is about discovering the exhausting pain and exultation of discovering love. 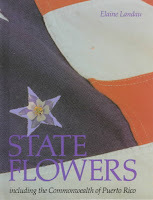 And even more so, In the Shadow of Young Girls in Flower is about the writing itself. Just as one can admire a painting, a van Gogh, for example, for the brush strokes, one admires Proust for his metaphors, which pile one upon another into a glittering portrait. 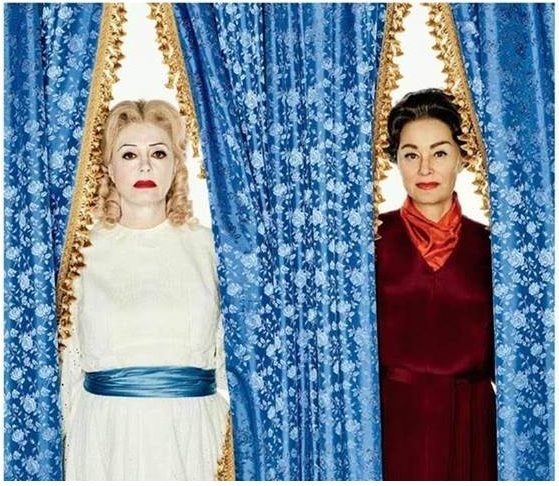 The Feud: Bette and Joan on FX is now up to its sixth episode. I have been watching religiously because it involves the making of one of my favorite movies and two of my favorite actresses. So, I figured it would be a great opportunity to include some resources that the library has that could give some greater context to the show and Hollywood and the movie industry, in general. But first, here’s a little history and context on the show. Whenever I start something, I like to start with the source material. 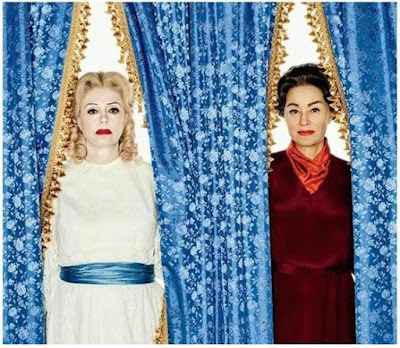 With that being said, I recommend seeing the movie, Whatever happened to Baby Jane? 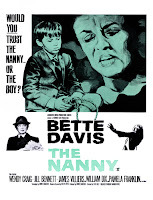 It stars Bette Davis and Joan Crawford and is directed by Robert Aldrich. It’s a psychological-thriller-horror film about an aging vaudeville actress who holds her disabled Hollywood actress sister captive in an old Hollywood mansion. 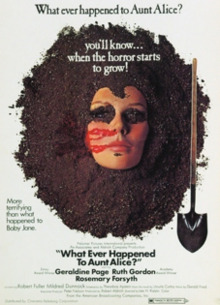 This movie officially started the subgenre of thriller-horror films known as the psycho-biddy films or hagsploitation, which proliferated in the 1960s and on into the 1970s. Psycho-biddy films involved once glamorous older women who have now become psychotic and start terrorizing the people around them. 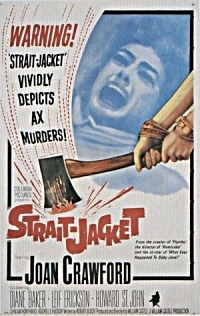 Strait-Jacket (1964) – Directed by William Castle. Starring Joan Crawford. 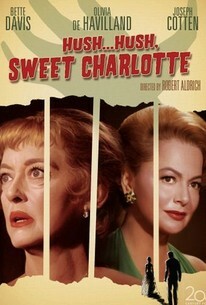 Hush…Hush, Sweet Charlotte (1964) – Directed by Robert Aldrich. Starring Bette Davis, Olivia de Havilland, Joseph Cotton, and Agnes Moorehead. 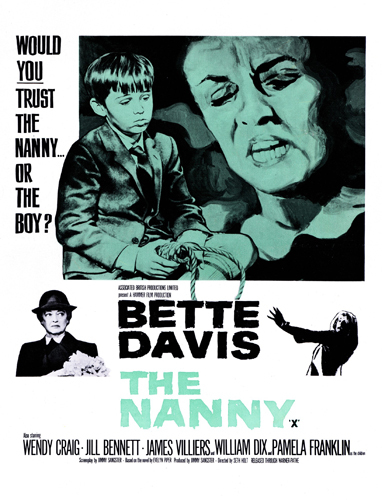 The Nanny (1965) – Directed by Seth Holt. Starring Bette Davis. Whatever Happened to Aunt Alice? (1969) – Directed by Lee H Katzin. Starring Geraldine Page and Ruth Gordon. A widow, who was left nothing but a stamp collection by her late husband, begins hiring elderly housekeepers and killing them in order to steal their money. A friend of one of these victims grows suspicious and begins working for the widow to catch her. But will she become the next victim herself? What’s the Matter with Helen? (1971) – Directed by Curtis Harrington. 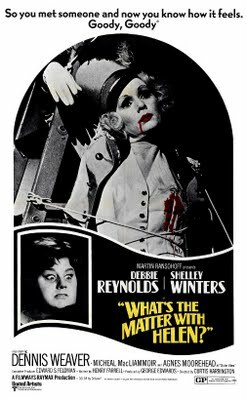 Starring Shelley Winters and Debbie Reynolds. Two Midwestern mothers flee to restart their lives in Hollywood after their sons’ high-profile murder trial a la the Leopold and Loeb murder trial. The ladies open a dance studio for young girls. While their business flourishes, their personal lives begin to suffer. One of the ladies becomes dangerously obsessed and jealous of the other with dire consequences for them both. 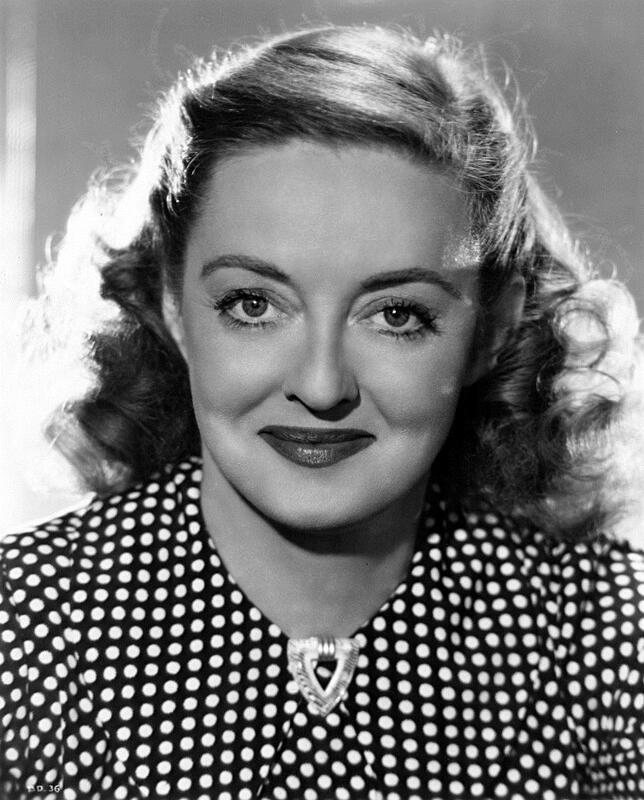 One of the greatest actresses in Hollywood history, Bette Davis was nominated for ten Academy Awards (the first person to do so), winning two for Best Actress (Dangerous (1935) and Jezebel (1938)). Davis was known for her versatility and willingness to play unsympathetic characters. Her career lasted from 1929 to 1989. 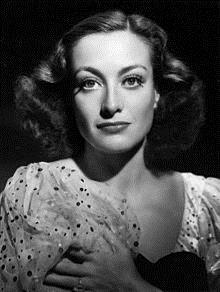 Joan Crawford was an actress during the Golden era of Hollywood. She seamlessly bridged and survived the transition from silent films to sound films. Her popularity rivaled and outlasted her contemporaries, like Norma Shearer and Greta Garbo. 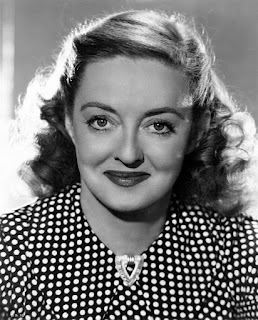 She was nominated for the Best Actress Academy Award three times, winning for Mildred Pierce in 1945. Her career lasted from 1925 to 1972. My favorite thing to do is read. Now this may not seem unusual for a librarian, but I read in many different ways. I love to cuddle up at night right before going to bed and read for a while. Sometimes it is for 15 minutes, sometimes for five to six hours. I will look at the time and suddenly realize I have to get up in an hour to get ready for work. I find that I am not tired—I am awake an hour later and refreshed as if I’ve had a full night’s sleep. My favorite way to read is with a good old-fashioned book in my hands. I love the feel, the weight, the smell of a good book, even if it is a little musty from age. Lately, I have been reading the epic Outlander series by Diane Gabaldon. These eight books range in size from 650 to 900 pages. I began reading these books in 1992 when the first book was released. I was delighted when it became a series and continued reading them as they were published. When I heard they were being made into a series, I was ecstatic. I had missed the last three books, so I started with them, but while watching the series, I realized I had forgotten a few things. I started the series from the beginning, but the third library book copy had been read so many times, it was falling apart in my hands. My husband had given me a Kindle when they first came out in 2007. Being a librarian, I felt like a traitor using this new technology. I downloaded a free book of children’s stories (I am a children’s librarian), and read the stories between other books. When the third Outlander book started falling apart in my hands, I found the Kindle to be the answer to my problem. It was light to carry around and in one piece. I read the rest of the series on the Kindle. When USA released the second book on TV, I began the series again because there was so much information in each book I had to refresh my memory. I am about to finish the fifth book, Drums of Autumn. These eight books are the only books I’ve read since 2014 (in the traditional format). As a member of the American Library Association, I have served on seven audiobook committees. This past year as chair of the 2017 Odyssey Committee*, we received 445 audio books to evaluate. The first audiobook I had ever listened to was John Grisham’s A Time to Kill, as I was going to Destin. It made the drive seem shorter and as I was going through some small towns, the KKK was coming down one street, the NAACP was coming down another street, and the National Guard down a third street—I had to stop and remember: this is a book. As a member of the committee, I was assigned around 52,000 minutes of listening. That came out to 104 eight hour days. With the audiobooks I could listen while driving in the car, cleaning house, Christmas shopping, during lunch, or crocheting. I listened to 147 books. At the conference, we picked our winner, Anna and the Swallow Man, the announcements were made, and I got in my car to drive home. I picked up an audiobook I had received at the conference, Put the CD in the player, and listened to a new adventure on my way home to Birmingham. *The Odyssey Award audiobook is honored as the Best Audiobook production of a book for children or teens produced in the previous year. Say you’re interested in Abraham Lincoln, and you want to read the new historical novel by George Saunders, Lincoln in the Bardo. You stop by your Birmingham neighborhood library, but the book is not there. But there’s no problem. You can go online and request it and ask that it be delivered to your library. And usually, in a matter of days, you’ll have it. The above example is just one way in which the Birmingham Public Library (BPL) system works. The system has 18 branches throughout the city, all of which serve many purposes in their particular communities, but the BPL system’s beating heart is the Central Library complex downtown. Central acquires, catalogs, and circulates the books, magazines, DVDs, and CDs that you’re accustomed to finding in the branches. But it also acquires a vast array of electronic media offerings such as downloadable films, e-books, magazines, audiobooks, and music, and it maintains databases available 24-7, at no charge to library patrons. Go to bplonline.org and you can find Hoopla, a streaming service for films, magazines, and audiobooks; Flipster, a digital magazine service; the learning tool Mango Languages; back issues of the Birmingham News, burial records from Red Mountain Cemetery, and so on. miles per week or 73,476 miles annually delivering materials. These and all of the BPL system’s data sources are available to Birmingham residents, and most of them are available to Jefferson County residents. All you need is a card with the Jefferson County Library Cooperative. 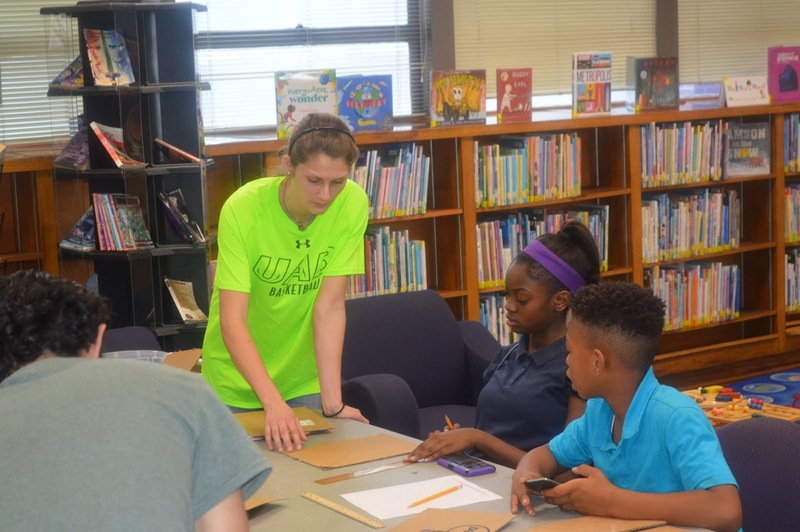 The cooperative serves 40 libraries throughout the county—including municipal libraries such as those in Bessemer, Homewood, Hoover, Mountain Brook, and Trussville—and it is based at the Central Library. 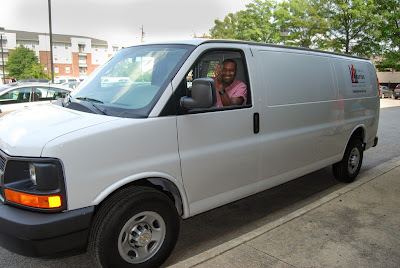 So are the vans that deliver books and other materials that you request from your local library. But these services are not all that you can find at Central. In Central's Linn-Henley Research Library, check out the Southern History Department, which is renowned for its book collection, maps, and genealogy resources and instruction. There’s also the Archives and Manuscripts Department, which holds more than 30 million documents and 500,000 photographs of local, state, national, and international significance, including the archives of the City of Birmingham. anything from their fridge or pantry to see what Adler could make with it. Like its branches, Central is a lending library, and it also hosts a variety of activities for all ages. However, its large two buildings and resources enable it to do some things on a grander scale than most of the libraries in the county. 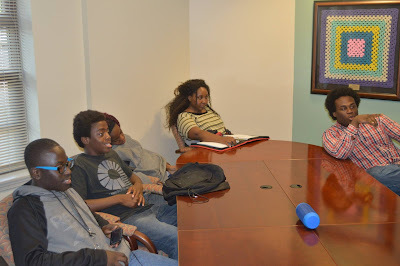 For example, Central annually sponsors a teen poetry initiative, WORD UP!, which draws teens from a five-county area, and a Local Authors Expo and Book Fair. There’s also its monthly Bards and Brews poetry slam competition and local craft beer tasting, and its annual week-long Eat Drink Read Write festival. New this year is the program Teens Engineer BHM, run in conjunction with the UAB School of Engineering, to encourage teens to consider engineering careers. participants at the Woodlawn Branch Library how to design houses. 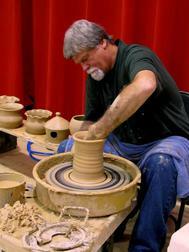 This month’s events calendar illustrates the scope of classes held at Central. Included are “Money Matters” programming on personal finances; “Steps to Starting Your Business,” plus classes on employment with Jefferson County and using Ferguson’s Career Guidance Center, which details more than 2,000 in-demand jobs at nearly 100 industries. Each month also offers computer classes and instruction on how to use the library system's databases. This week is National Library Week. It is a time to acknowledge the important role that libraries and librarians continue to serve in our society. Both citizens and governmental leaders in Jefferson County often seem to forget the critical role played by the Central Library in our large and successful county-wide system since most people experience their libraries at the branch or municipal level. It is time to celebrate Central and remind everyone that it needs our continued support to maintain its special services and programs which enhance the other libraries in the county. Pat Rumore received a 2016 Library Champions award from the Jefferson County Public Library Association and is a board member of the Friends Foundation of the Birmingham Public Library.